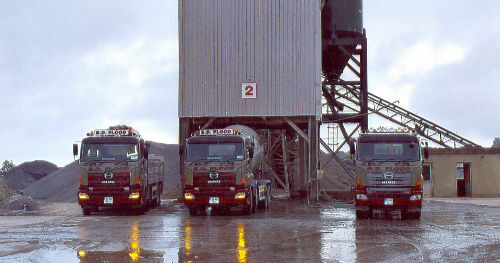 Our main Readymix plant is located outside Oldcastle. It is also a modern Premix plant with a mixing capacity of 72m³ per hour. Our Plant at Knockmant, Mullingar is a modern Premix plant with a mixing capacity of 64m³ per hour. 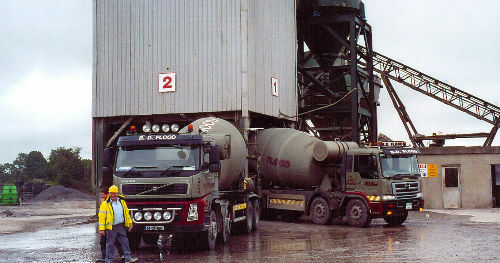 We also operate Readymix plants in Rhode Co. Offaly, Mullingar Co. Westmeath, Knockmant Co. Westmeath, Kells Co. Meath, Drumlish Co. Longford, Lavey Co. Cavan, Crookedwood Co. Westmeath and Oldcastle Co. Meath. 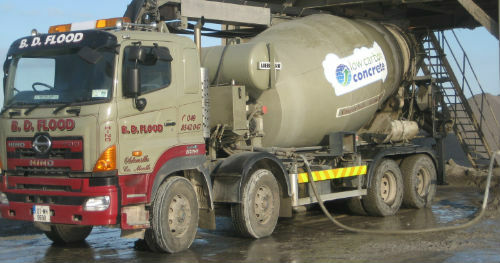 Readymix concrete is supplied in a wide range of strengths. 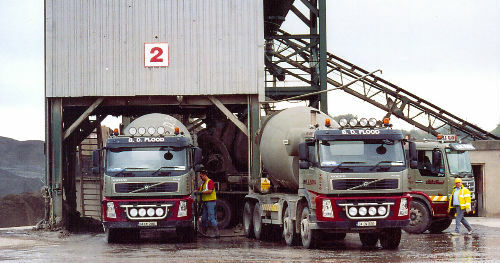 Our readymix concrete is manufactured in our totally automated computerized batching plants. We provide a range of concrete solutions to suit all applications. We have 8 computerized batching plants all updated to EN 206 specifications, with a large fleet of readymix trucks we are more than capable of meeting all our customers needs. 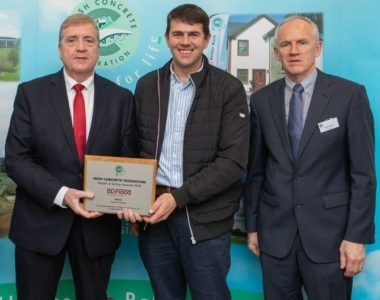 For the agricultural environment such as silage storage, milking parlours, slurry storage etc. For floors where high resistance is required. For applications requiring retardant or accelerators. Admixtures for water reduction and workability enhancement. For fiber reinforcement and dyed concrete. Admixtures such as plasticisers, super plasticisers and air entraining agents can also be supplied. Steel or polypropylene fibres can also be arranged. Watch our Flood Precast Floors being fitted – for more information please visit our sister website.